Almost 9 years ago I had a sweet little baby girl. I can't believe it's been that long! I'm feel so blessed to be her mommy. She is the sweetest little girl. 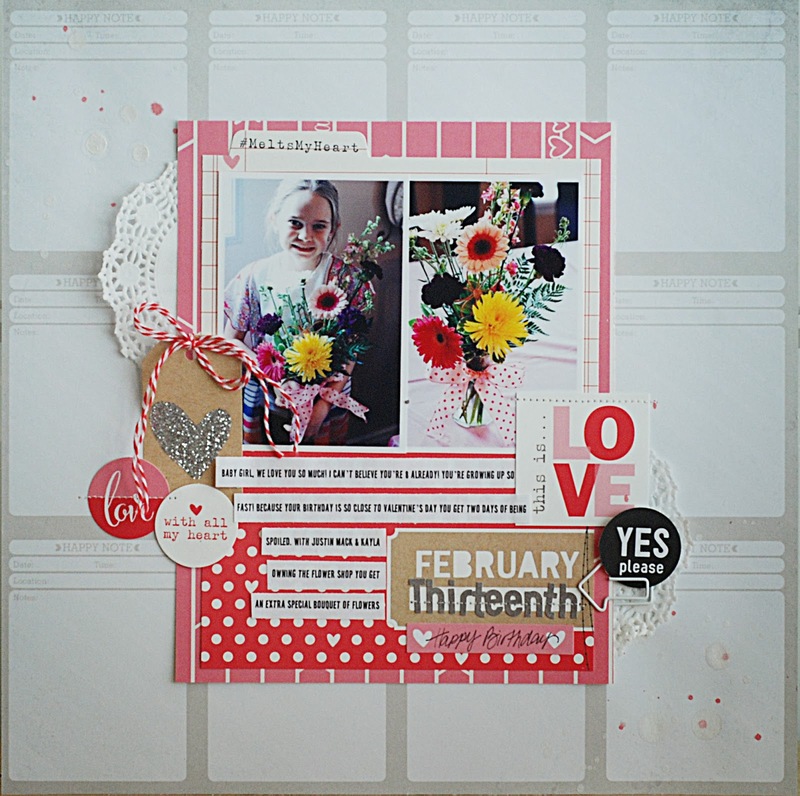 I created this layout to document a little bit about her birthday using the Elle's Studio February kit. 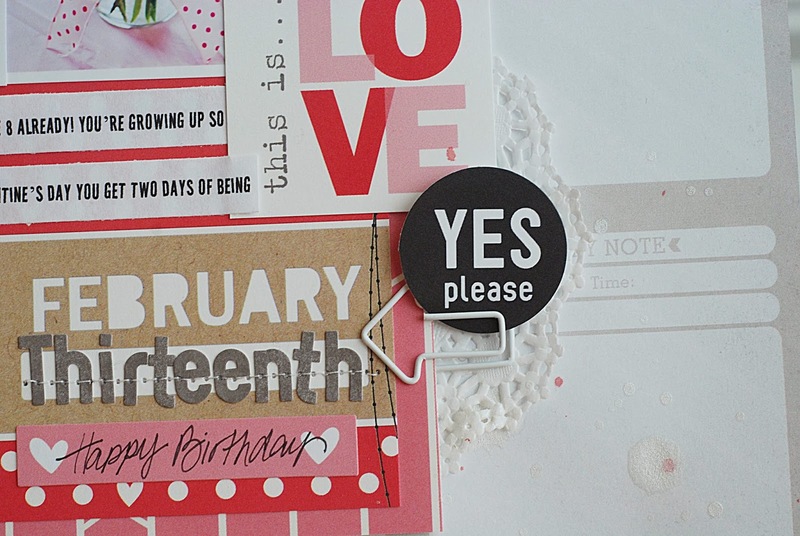 There are so many fun little bits and pieces in this kit...Valentines themed and some for everyday use. 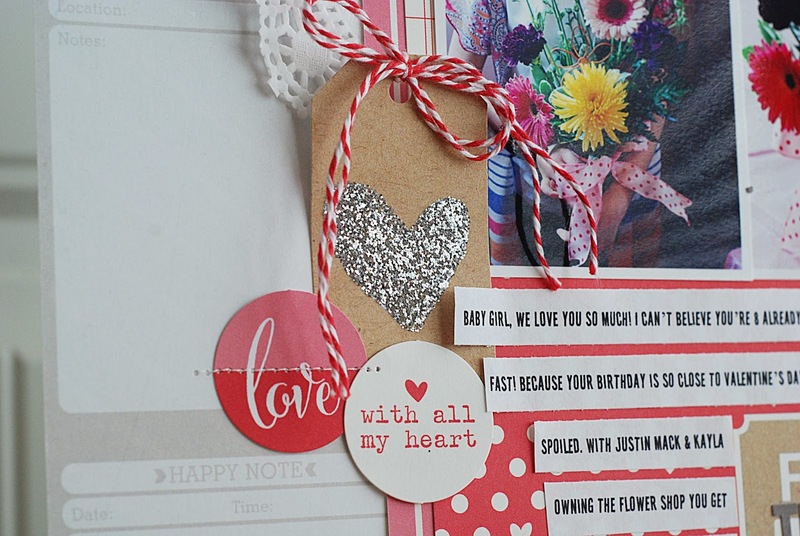 Hurry and get your kit HERE before they are sold out.